NYCDailyDeals -- What's Free And Cheap In New York City Today: Win Free Tix To "How to Succeed in Business Without Really Trying"
Win Free Tix To "How to Succeed in Business Without Really Trying"
It's been a while since our last Broadway ticket giveaway. But we're back with a show we think you'll love -- a hilarious fable of executive dreams and office romance! 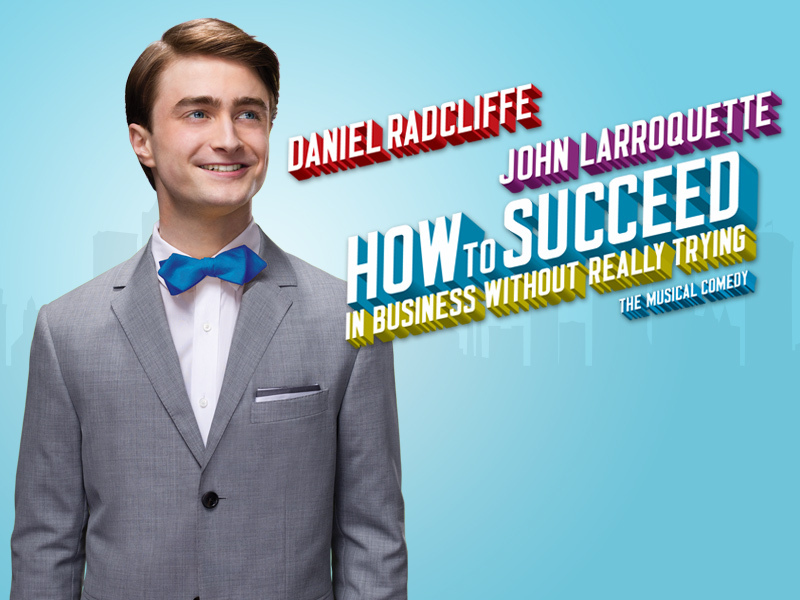 In How to Succeed in Business Without Really Trying, wily window washer J. Pierrepont Finch (Daniel Radcliffe) enjoys a riotous rise up the corporate ladder with the aid of a trusty self-help book. Can he get the promotion, the corner office and the girl, or will he learn balancing business and pleasure can be precarious—but hilarious and oh, so much fun? If you're not a winner, you can still get discounted tickets to the show here. The mailroom-to-CEO story is engrained in American culture and despite the ironic look at business, the musical remains true to the position quo.